It’s not often a politician plays by the rules, regardless of the political consequences he might face. Then again, New York Attorney General Eric Schneiderman isn’t your typical politician. 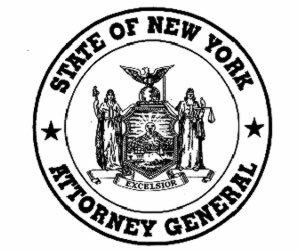 Even as the mortgage scandal was making headlines across the nation and became what many insist was the trigger for the 2008 recession, Schneiderman kept on moving forward with his investigation, even when it cost him a seat off of the committee charged with the investigative aspects. Shunned by many of his political counterparts, including President Obama who initially recommended him to co-chair for further investigation, Schneiderman managed to maintain his integrity as he sought to ensure a level playing field for banks, homeowners and taxpayers. The result has been refreshing – not to mention the changes he’s inspired. Part of maintaining that integrity was rejecting a settlement with major banks last year because of a stipulation that they would be shielded from any further investigations. Naturally, those states that wanted to settle – at least forty – were none too happy. Once he was able to remove that aspect of a deal, he accepted it – and those same states ended up with more than the initial offering; in fact, it totals more than $25 billion. said Schneiderman after the settlement was announced. Before this announcement, and after he was asked to chair the new group, Schneiderman outlined three truths: it’s no secret as to what went wrong with the securities, authorities will ensure those responsible for the crash are held accountable and finally, that the money stolen will be used as “forgiven debt” for those homeowners affected. In early February, the outspoken AG Schneiderman proved he was more than a one hit wonder by slamming some of the biggest names in the banking industry with another lawsuit. Three big banks were on the receiving end and were accused of wrongful foreclosures. Among the banks he sued are Bank of America, JP Morgan Chase and Wells Fargo. The accusations include deceptive and fraudulent use of a private database used to register mortgages. Always blunt in his expectations, he once again urged the Obama administration to hold the nation’s largest financial institutions accountable for their role in the foreclosure crisis. Meanwhile, the other lawsuit was moving forward. He held out, though. He knew participating in that lawsuit might have prevented him from moving forward with this one. In it, there are claims that the collective system was what allowed “fraudulent foreclosures” and “undermined the state’s process for reviewing foreclosure cases while making it difficult for homeowners to access their mortgage related documents”. A presser that was released around that time said the banks used the Mortgage Electronic Registration Systems (MERS) to do an “end-run around the property recording system, to facilitate the rapid securitization and sale of mortgages”. When the mortgages hit bottom, the banks were able to file the foreclosures in mass numbers with little attention paid to the legalities. This explains, in part, the rise in bankruptcies, too. Consumers, unable to meet their mortgage payments, wiped their slates clean of the mortgages, credit card payments and medical bills in an effort to get out from under the overwhelming legal process. Given the ulterior motives, illegal activities and misused funds in recent years, one common thread continued to dominate the financial sector as a whole: most could be bought. Now that Schneiderman is front and center, it’s not likely those unethical trends will continue. The question now, and especially for those in New York, is whether or not he’ll find himself on the campaign trail as the next governor.